Incredible footage shows the astonishing impact of a nuclear bomb blast up close and in high definition. 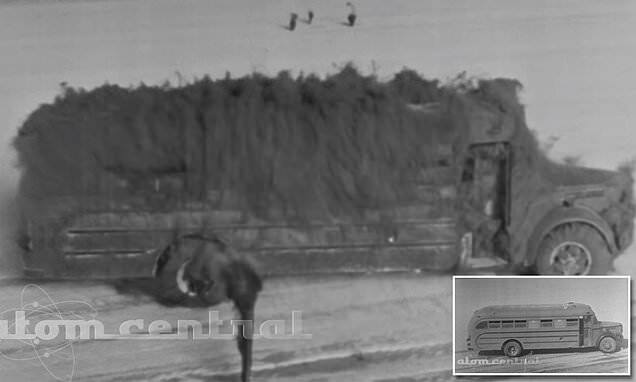 Newly-restored video clips from nuclear tests conducted in Nevada more than 60 years ago shows how the terrifying power of a 15-kiloton Grable bomb blast can strip the paint off cars. YouTuber atomcentral shared footage from the Federal Civil Defense Administration's Upshot-Knothole nuclear test series. The experimental atomic explosions were carried out at the U.S. Department of Energy's Nevada test site in southeastern Nye County from March 17 to June 4 in 1953.